Reggae has, since it became popular through singers like Bob Marley or Peter Tosh, been identified with the battle-cries “Jah!” and “Legalise!” . The connoisseur rather chats of freedom and will shout “Rastafari!”, referring to the syncretist religion to which numerous reggae artists indeed adhere. Rastafarianism finds its origins in the writings of Marcus Garvey, a US-based defender of the repatriation of ex-slaves to the African continent. The religion takes elements from Christianism, but holds emperor Haile Selassie of Ethiopia (alias ras Tafari, reign: 1930-1974) to be the Messiah. The redemptive thought of rastafarianism, characteristic of every messianism, stimulates its followers to point the gaze at better utopia’s, where the historic shackles of slavery can be laid off and freedom reigns for everyone. The social and geographic roots of reggae only serve to intensify this preoccupation with trading Babylon, the realm of need and oppression for better horizons. This results in references to liberation ideologies such as egalitarian socialism. The semi-colonial status of Jamaica and the steady look on the African continent inevitably lead to strong anti-colonial influences in reggae lyrics. So, while we find songs chanting how “from the rising of the sun/ until the setting thereof/ Selassie is worthy to be praised”, others manage to weld the imaginary of socialism to religious discourse (“take up thy hammer/ sharpen up your sickle”) and Bob Marley’s song Zimbabwe (“soon we’ll find out who is/ the real revolutionary”) not only served as the soundtrack to the country’s liberation struggle, but was sung with even more verve than the new national anthem at Zimbabwe’s independence celebrations. Linton Kwesi Johnson definitely has to be placed in this militant, anti-colonial tradition of reggae. Following his mother at the age of 11, Linton Kwesi Johnson migrated from Jamaica to England. A young black man, he was confronted with the violence of everyday racism that characterised British society and involved himself in the Black Panther movement. At about the same time, he started on writing poetry, developing a particular style which includes his emancipatory commitments in the characteristic diction of West-Indies slang which he writes down almost phonetically. This, before you would start thinking that we are dealing with programmatic poetry of the dull kind, make his poems voice the lives and times of “black British” in a very lively and nonetheless radically political way. Soon enough, LKJ as he became known, found out that his poetry worked very well together with dub music, music that brings reggae down to the basic beats. Indeed, his works trade the classical English pentameter for rhythm of the music that LKJ came to celebrate in rhyme, and soon enough performed with the backing of the Denis Bovell dub band. Everyone who reads or hears Linton Kwesi Johnsons poetry will be stunned by the violence that splashes from these pages. Linton’s first publication, Voices of the living and the dead, a Manichean conversation between those who already fell victim to colonial oppression and those who are preparing to take up arms against this oppression, is lined with refrains of DEATH! FIRE! WOUND! SCAR! that eventually give way to “Blood! Freedom!”. Why, you may ask, is this violent poetry being treated in a humanist newsletter? Well, the preoccupation with violence actually betrays a fundamental concern with liberation from oppression, both physically and morally. Moreover, the violence he describes is rooted in actual living conditions. he clearly links it to the discrimination to which immigrants are subject. So, LKJ devotes several of his songs to police violence and the “SUS-laws” that allowed police to arrest people on the base of “suspicious behaviour”. While “Sonny’s Lettah” describes the arrest of two innocent blacks, the song “Doun the road” very clearly links this bloodshed to discrimination. Interestingly, Fanon equally devotes attention to dance as an outlet for this built-up violence, just as he sees this function in ecstatic part-taking in devotional or superstitious activities. He explains how the internal violence and religious fervour allow “the native” to explain the defeat in the face of colonial oppression and thus serve to stabilise the status-quo. “Di second phase”, then, can only be when colonial, moral and mental oppression are shaken off. 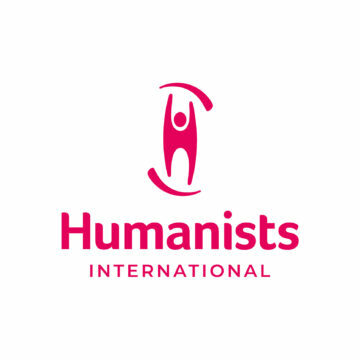 Here, we reach more common ground for humanists. Linton Kwesi Johnson surprised a great many interviewers by explaining to them that he is not a Rastafarian (retorting: “Why are you not a catholic?”). Although he often expounds Rastafarianism’s contribution to awareness-raising about African heritage, the devotional parts are never adopted. On the contrary, in a beautiful poem called “Reality Poem” LKJ indicates that in an age like ours, where the potentialities of human liberty can and must realised, our focus must be with this-worldly solutions. When it comes to the solutions Linton Kwesi Johnson propounds, he has always made it clear that these should draw inspiration from socialism. Personally, he says to have been greatly inspired by C.L.R. James, whose writings combine sharp criticism of Soviet (and other allegedly socialist) forms of oppression of the individual with the material promises of an egalitarian system. It is clear that anyone who is preoccupied with gross forms of economic and cultural discrimination, that anyone who is materially involved in striving for the betterment of living conditions cannot but see past the whimsical promises of messianic redemption.